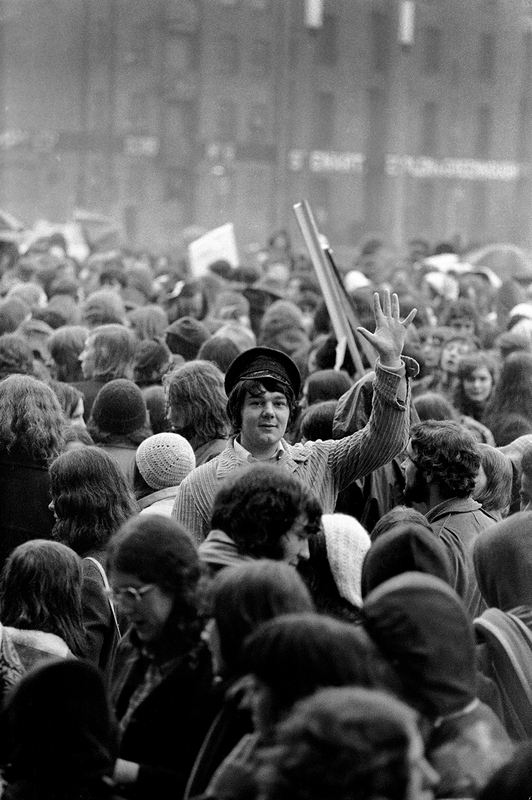 The Student Revolution in Hull in the late 60’s and early 70’s was good natured and a largely peaceful affair. I realised the second the young man turned round I had the shot, I suddenly felt like a proper photojournalist. Does this photograph tell us anything other than this was an optimistic time. The young felt they could do anything, change the world, overturn the system, make a better place for people to live. Now when I look at all those split ends I can only marvel at the revolution that’s changed the world of hair products.